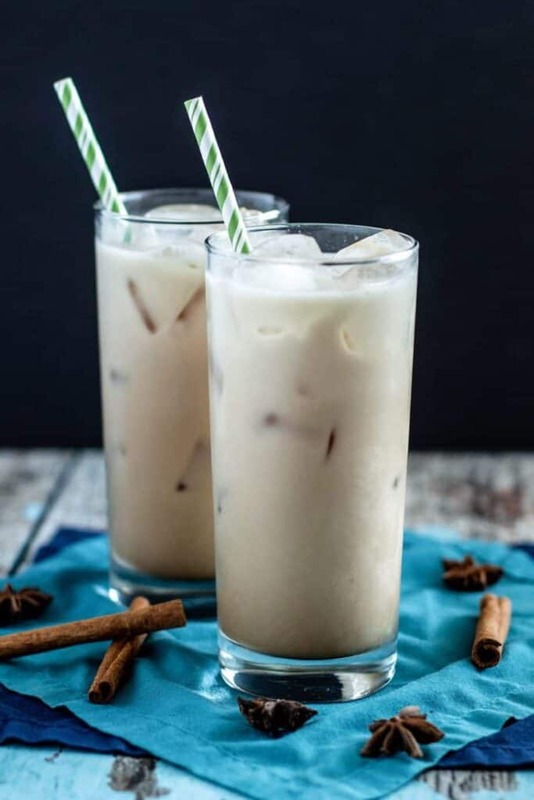 Since the weather is warming up, I’ve had to trade my morning mug of hot tea for homemade iced chai lattes. I usually consume my morning caffeine at my desk at work, right after I get there. However, it’s just not that relaxing to come in from the hot hot outdoors and drink a hot beverage. Fortunately, these Iced Chai Lattes are delicious, caffeinated, and cold. 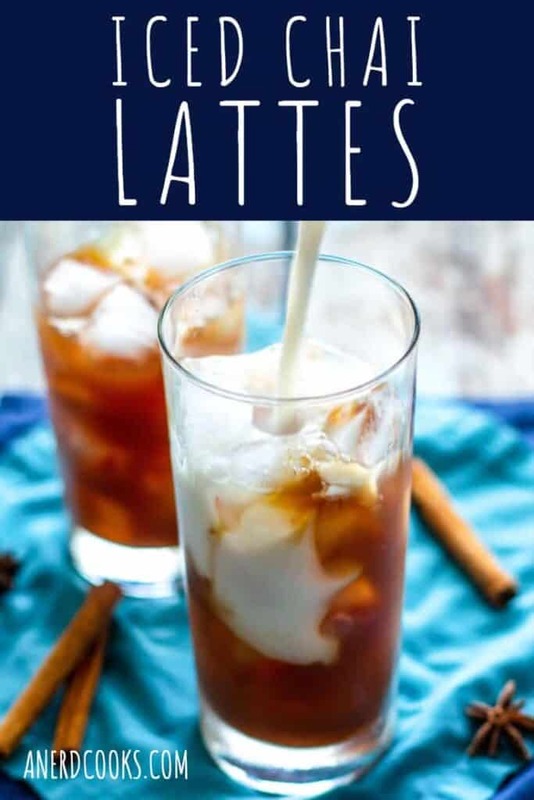 I used to get iced chai lattes from Starbucks, loved them, and assumed that they were really complicated to make. 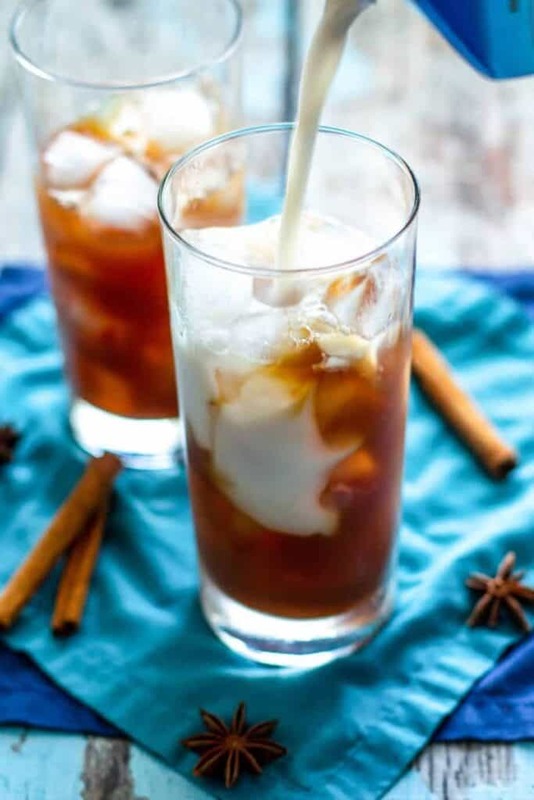 But, as it turns out, they’re just… get this… spiced black tea and milk. It’s also pretty cool that you can use whatever spices in whatever proportions that you like. 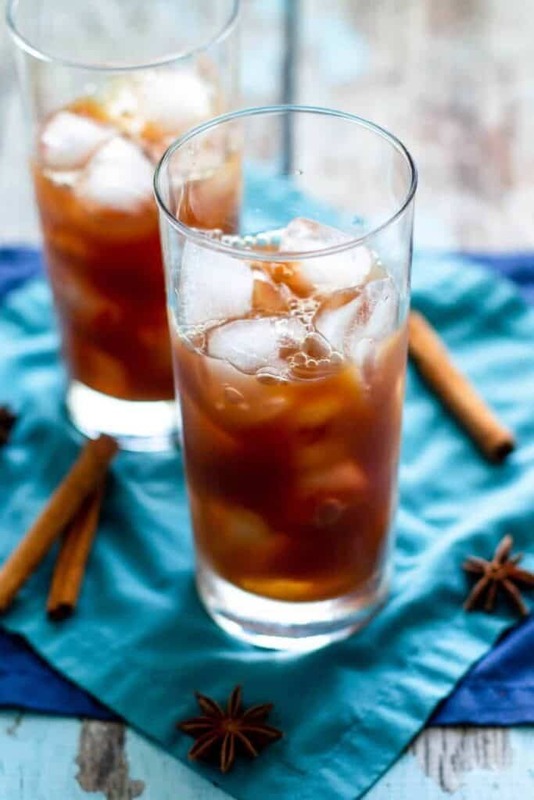 I use a pretty traditional chai blend, but do go a little heavy on the cardamom (I love it!). You can also make them as sweet (or not) as you like using your preferred sweetener. Looking for other caffeinated goodness? Check out my Homemade Cold Brew Coffee! Combine the water, sugar, and spices in a medium-sized saucepan over medium heat. Bring to a boil, and allow the mixture to simmer for 10 minutes. Turn the heat off and add the teabags to the saucepan. Allow the tea to steep for 20 minutes. Remove the tea bags and allow the tea to cool completely. 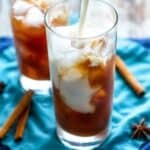 In whatever proportions you desire, pour the cooled tea over ice and top with milk. You can increase or decrease the amount of sugar to suit your tastes. I've used both brown and white granulated sugar with success. I have used cows milk and almond milk. I can't speak to how these iced lattes turn out when using another kind. Looking for more treats that feature chai flavors? Check out these Chai Spice Chocolate Chunk Muffins! Teabags missing in your ingredient list? These look like one perfect summer thirst quencher! Love that you used star anise too – they add so much flavour!